Whenever you visit ricoh-imaging.com we gather general information about your visit - the site you are coming from, pages or areas you visit on our site, and how long you stay at a particular location on the site. This information helps us identify popular areas of our site as well as areas that could use refinement, so that we can keep content on the site fresh and relevant to our users' interests. Many improvements and updates to the site are based on this data. We do not collect any personally identifiable information from you except when you expressly volunteer it under special circumstances described below, such as entering a contest. Most Web browsers automatically accept cookies without asking the user if he/she wants to do so, but you can usually change your browser to notify you when there is a cookie so you can choose whether to accept or decline the cookie. If you choose to decline one of our cookies, you will still be able to use the features on our site. 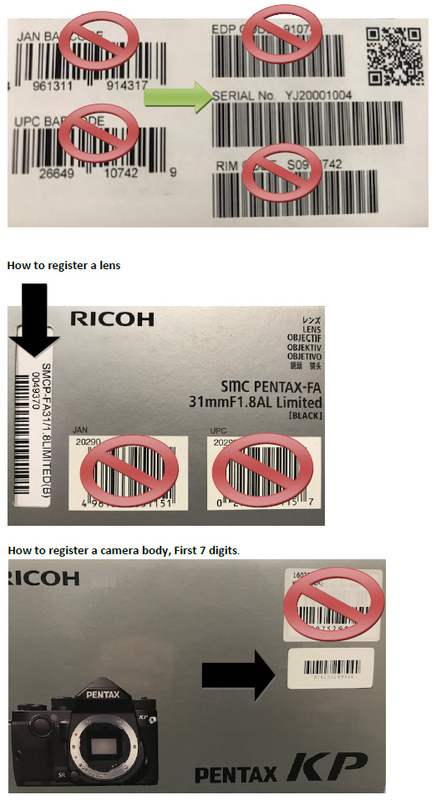 If at some point during your visit to ricoh-imaging.com you take part in a contest or promotion, order brochures, download documents or other software, or if you choose to contact us for some reason, we may ask for personal information such as your name, address, and e-mail address. We also may ask you for information about your interests, opinions and background so that we can better interact with you in the future and better understand your needs as a customer. Providing such information is always optional on your part. Information collected at ricoh-imaging.com will not be sold, rented, lent or otherwise disclosed to anyone other than to RICOH IMAGING AMERICAS CORPORATION's retailers (for purposes of a product sale initiated by the customer), RICOH IMAGING AMERICAS CORPORATION's affiliated companies - which include RICOH IMAGING COMPANY LTD. (RICOH IMAGING AMERICAS CORPORATION's parent company) - and direct and indirect subsidiaries of RICOH IMAGING AMERICAS CORPORATION Any personal information you may choose to give us is used only to fulfill the service you have requested, such as ordering a document or subscribing to a mailing list.